Why do I buy saris? My mid-year resolution (I am always making them and breaking them, erm… rephrasing them) is to wear saris to work – at least a couple of times a month. I first made this resolution at the beginning of last year. 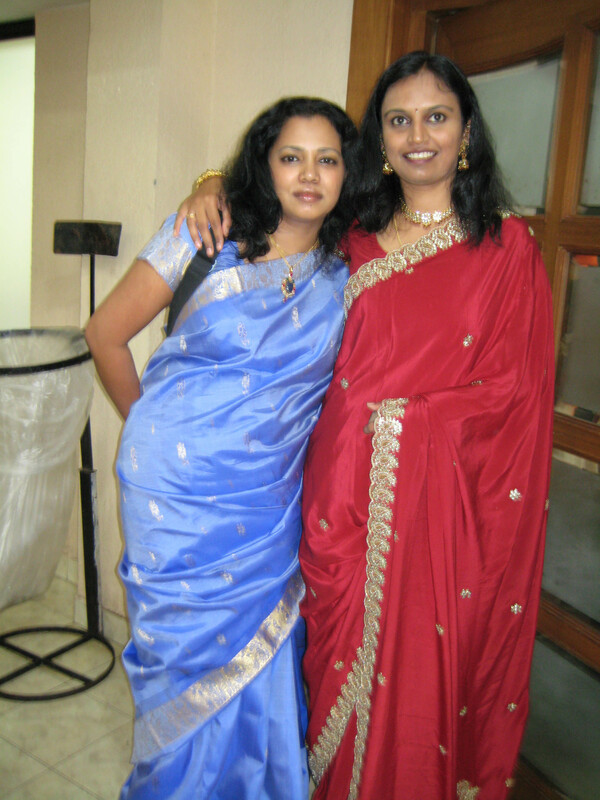 Since then I have worn the sari twice – once to a wedding and once to an office party. AND since then I have bought / been gifted at least 10 new saris. I am drowning in saris with unstitched borders and and worried about all the matching blouse pieces, falls and underskirts to be bought. No wonder I prefer jeans and kurta! But there is something about saris that makes me behave a bit like an addict – and before you jump to conclusions – no, I am not an expert. I still end up asking the boutique owner / shop keeper questions about the material and the print. It is just the magic of the colours juxtaposed against each other, merging and mingling along the borders, the sea of prints, the clever use of contrast prints on the pallu or the blouse, the flirtiness of a chiffon, the muted elegance of a cotton and the superior class of a silk or a silk cotton. One look and I am hooked. My wardrobe is overflowing with saris. Now I just have to develop the discipline to wake up 15 to 20 minutes earlier and drape my personal 6 yards of fantasy. Damn and also get those blouse stitched. Hmmm… jeans and kurta it is then for a few more days.